Feeling stressed? Set yourself up to relax and be thankful over the fast-approaching holidays with this workout. 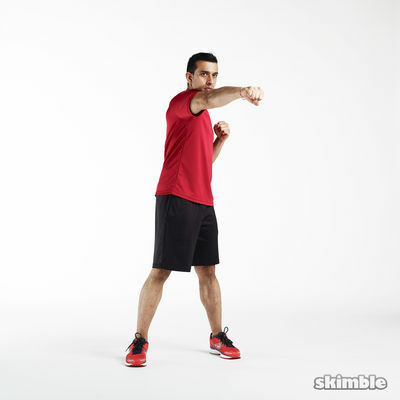 Our upper & lower body kickboxer moves will help you expel pent-up negative energy and reduce tension. They can all be done in the privacy of your home. Get psyched to chill out and celebrate! A brilliant combination. Instantly exhillarated, especially after some Christmas indulgence!